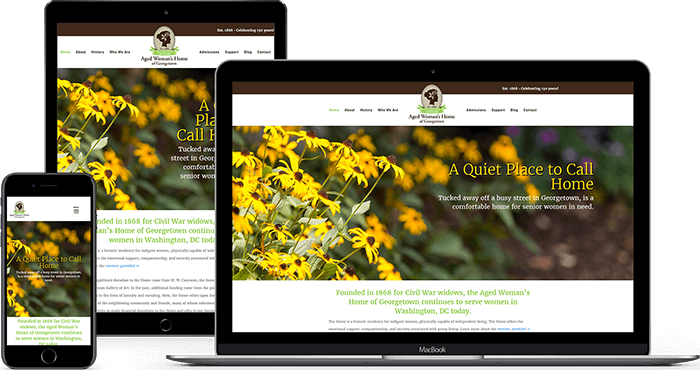 Website design for nonprofit in Washington, DC. The Aged Woman’s Home, a 501(c)3 contacted Mighty to plan, design and build their web presence. For over 150 years, the Home has been providing rooms to indigent senior women in need in the heart of Georgetown, in Washington DC. The Home wished to create an online presence that answered many of the questions that social workers asked when they called to learn more about the Home. The Mighty team sent out Tamzin Smith to photograph the Home and the Gardens in the back. 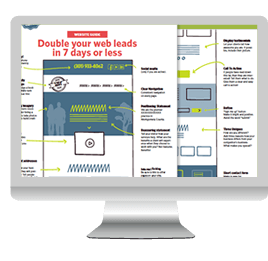 The website was built in WordPress using a customized theme. A blog was included so they could share the news of the Home. At launch, training was provided so that the team at AWH could make content updates to the website. We also helped AWH launch a monthly newsletter, and we post their articles every month on their blog, send out their newsletter, and post to the Facebook page that we created for them.